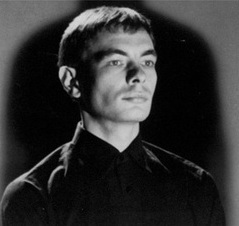 KARL BARTOS first came to the music world’s attention as a member of KRAFTWERK. 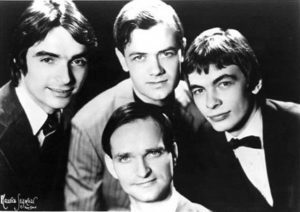 Along with Ralf Hütter, Florian Schneider and Wolfgang Flür, he became part of what is acknowledged as the classic line-up of the pioneering Düsseldorf quartet. Recruited in 1975 to augment the live shows following the international success of ‘Autobahn’, Bartos was studying to be a symphony orchestra percussionist at the time and had to occasionally commute across the Atlantic to complete his exams while on tour in the US. A now iconic appearance on ‘Tomorrow’s World’ showcased the future of music when the foursome demonstrated their customised instrumentation while smartly attired in suits. Using synthetic drum consoles triggered by metal rods, Bartos and Flür punctuated KRAFTWERK’s pioneering technology enhanced sound with a distinct uncluttered percussive snap. 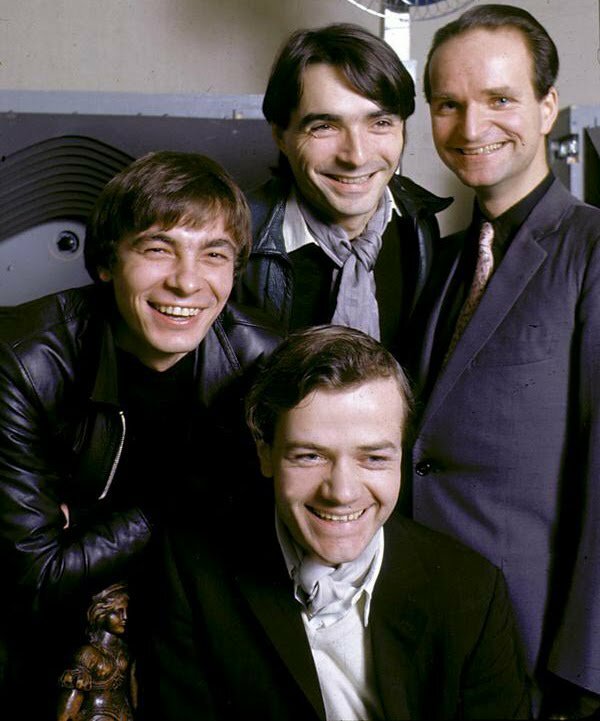 They continued their thematic fascination with science and technology, making major artistic leaps with the ‘Radio-Activity’ and ‘Trans-Europe Express’ albums. Two of their fans were DAVID BOWIE and BRIAN ENO whose work on ‘Low’ and ‘Heroes’ in 1977 helped raise KRAFTWERK’s profile in the UK and led to a spate of new acts that were to become part of the Synth Britannia cultural revolution. But following the simultaneous high profile success of the GIORGIO MORODER produced ‘I Feel Love’ for DONNA SUMMER and his own ‘From Here to Eternity’, KRAFTWERK became fascinated by the throbbing sequenced electronic disco template and incorporated it into the album that many consider to be their crowning achievement, ‘The Man-Machine’. By this time, Bartos had graduated to become Hütter’s main writing collaborator at Kling Klang with his first contribution being ‘Metropolis’. On tracks such as ‘The Robots’, ‘Neon Lights’ and ‘The Model’, Bartos added a funky groove that hadn’t been apparent in KRAFTWERK’s previous work. 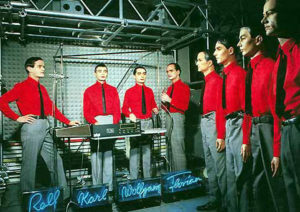 In 1981, KRAFTWERK predicted the world we now live in with ‘Computer World’, a conceptual work that looked at police surveillance, portable office technology, computer dating and home entertainment. A much more tightly programmed work but with that all important vulnerable sense of humanity, the album was rhythmically strong thanks to Bartos’ contributions and tracks like ‘Numbers’ heavily influenced musicians in America who later went on to develop genres such as electro, hip-hop, house and techno. However in 1983, with KRAFTWERK about to capitalise on the recognition they had been afforded by the success of synthpop throughout the world with the single ‘Tour De France’ and its accompanying album ‘Technopop’, Ralf Hütter had a near fatal cycling accident. While making his recovery, the release of ‘Technopop’ was postponed and the tracks reworked using more new digital sampling technology. 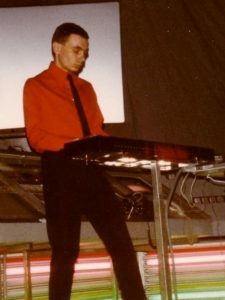 A rethink had manifested itself as computer based instruments such as the Fairlight and Synclavier were becoming increasingly prevalent in modern pop. KRAFTWERK purchased the latter and the delayed result was eventually released as the disappointing ‘Electric Cafe’ album in 1986 which interestingly saw Bartos’ debut as a vocalist on one of the album’s highlights, ‘The Telephone Call’. KRAFTWERK had clearly lost their way at this point and Flür was the first to leave in 1987. Bartos soldiered on and worked with Hütter, Schneider and new recruit Fritz Hilbert on a remix album entitled ‘The Mix’. Bartos played his last concert with the band in 1990 and left not long after. But despite having already put several years into the project, his name was missing in the credits… keen observers will have also noticed that within the artwork of ‘The Mix’, Fritz Hilpert’s robot image was duplicated in Die Quartett shot to give the impression of a new fourth member! Wasting no time, Bartos formed ELEKTRIC MUSIC with Lothar Manteuffel from RHEINGOLD and released the album ‘Esperanto’ which at the time, was enthusiastically welcomed by fans desperate for the void in new KRAFTWERK material to be filled. “Kraftwerk were like a wonderful Jumbo Jet that almost never took off” he wryly said to Future Music in 1993, “Now I’d rather have my own little Messerschmitt… and make my own pirouettes”! One of the erstwhile collaborators on ‘Esperanto’ was longtime KRAFTWERK fan Andy McCluskey from OMD who sang on ‘Kissing The Machine’, quite possibly the best song that both parties was involved with during the anti-synth backlash that was to eventually became Britpop. The guitar dominated environment led to rather strange happenings with both musicians. In McCluskey’s case, it was forming ATOMIC KITTEN. Legend says it was Bartos who suggested that it was the vehicle McCluskey was using that was outdated rather than his songs, hence this new messenger! He said: “Andy, if you just write songs, you’ll be a whore and your publishers will control you. You really need to create a vehicle for your own songs… create a three-piece girl group”! To think that ATOMIC KITTEN are part of Kling Klang’s lineage is quite amusing in hindsight! Meanwhile, Bartos went to Manchester to work with Bernard Sumner and Johnny Marr on ELECTRONIC’s ‘Raise The Pressure’ album and returned to Germany with a Rickenbacker strapped to his back! Ironically, the resultant 1998 album was titled ‘Electric Music’ which Bartos himself described as “guitar pop out of the computer”. Although a song originally written for KRAFTWERK entitled ‘The Young Urban Professional’ was the first single, the album was not particularly well received by fans! In 2003, Bartos made a triumphant comeback with his first proper solo album ‘Communication’. This saw a return to his electronic roots with lead track ‘The Camera’ in particular successfully updating the Kling Klang template of ‘The Robots’ for the new Millennium. The album was far more of an artistic success than ‘Tour De France Soundtracks’ which had just been released by his former colleagues after a lengthy absence. Bartos’ own live show was a huge success too, mixing his new material with updated versions of his classic KRAFTWERK compositions in a striking but intimate audio/visual extravaganza. 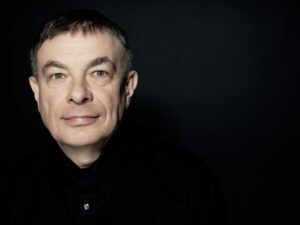 Although having been comparatively silent for the last few years musically, Bartos has been working as a visiting Professor at the Berlin University of the Arts having founded its Master of Arts course in ‘Sound Studies – Acoustic Communication’. 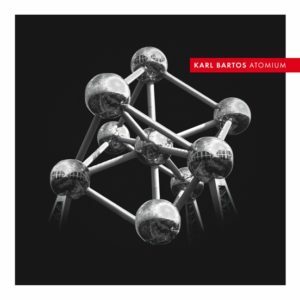 But now comes the release of ‘Off The Record’ , the first album from KARL BARTOS in ten years. It sees lost material being reconceived and recontextualised within a 21st Century setting. 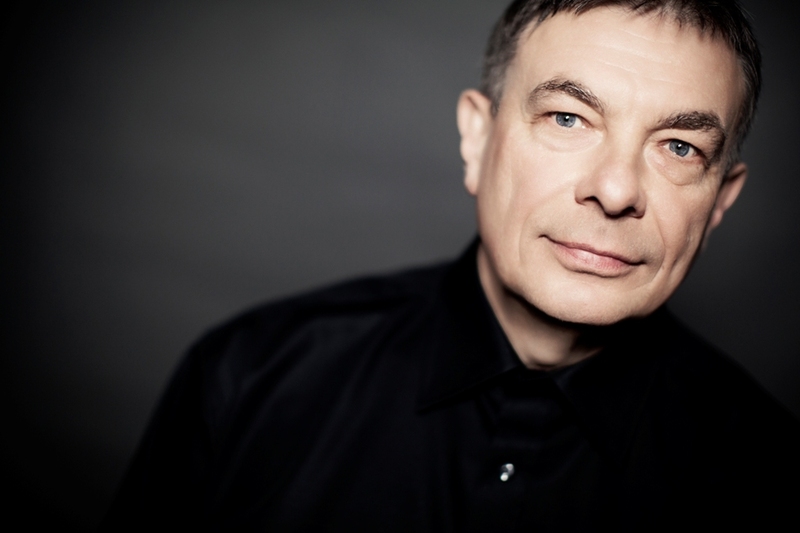 The story behind the album’s concept is that during his time with KRAFTWERK, Bartos wrote – off the record – a secret acoustic diary. In KRAFTWERK from ‘The Man-Machine’ onwards, you were credited with co-writing. When did this shift come about and what sort of parts were you contributing? I played electronic drums on ‘Radio-Activity’ and ‘Trans Europe Express’. I got my first contribution as a composer for the album ‘The Man-Machine’. On this recording and all subsequent recordings my input included all parts of the musical content ie drums, bass, sequencer, chords, melody, voice, lyrics. You left KRAFTWERK in 1990 but you got to work straight away as ELEKTRIC MUSIC releasing the ‘Esperanto’ album in 1993. You wrote ‘Kissing The Machine’ with OMD’s Andy McCluskey. How do you feel about him reviving it for the new OMD album ‘English Electric’? Sometimes we all love nostalgia because it’s safe. One interesting point; the process of listening to music incorporates what we have learned before, all our lives, what we know. If you listen to a track in a club, or at home, or a concert, it doesn’t matter where, always what our brain does is we remember what we have learned about music, then we have this very second, this very moment, and our expectations about how the music will evolve in the future. Listening to music incorporates all three times. Back to Andy, when I left KRAFTWERK in the early 90s, I got a call, “Hi I’m Andy, I’d like to visit you”. I showed him part of my archive. He suggested we do something together and I was up for it, so we went through this archive [which became ‘Off The Record’]. We picked some cassettes and finally I found *sings the opening notes of ‘Kissing The Machine’*. He wrote the whole song and the lyric and the robo voice and I produced it for my first album. And now, we are always in touch, and when he plays Hamburg, he invites me. Last time he asked me if I had the old vocal recording which is 20 years old. I found this, because at the time I was really well organised. I sent him the vocal track but I haven’t heard the production. Maybe the link is in my inbox. I’m looking forward to hearing it. In 1995, you worked with Bernard Sumner and Johnny Marr on ELECTRONIC’s ‘Raise The Pressure’ album but it was reported at the time you were getting disillusioned with music technology. What had happened to make you feel like this? It was this idea of techno music with people making a track every day, another tune, releasing a record every other week, just fours-to-the-floor with no melody or structure, with no thought going into it really. I found it boring and depressing and it was the technology that was allowing it to happen. But then I worked with Johnny and Bernard who were able to use synthesisers and machines but were bringing so much melody and feeling into it as well. That really helped to make me feel positive again, it was such a great experience. Did you have any dilemmas about how many KRAFTWERK songs to include when you first went out with your live show in 2003 in support of the ‘Communication’ album, especially as your former colleagues were returning with ‘Tour de France Soundtracks’? Well, since I have co-written many of the hits, I always had too many of them for just one concert. The real problem was to sort out the redundant tracks. It’s been 10 years since ‘Communication’. During that time, there has been the move to download culture and smart technology. How have these advances shaped ‘Off The Record’, bearing in mind its background? The change in music culture had no influence in the making of this album. It is true: the music industry has lost its business model but that did not change the power of music.